Spyro: Reignited Trilogy Leaks, Coming September | Nerd Much? The Spyro remakes are coming. You know it. I know it. But what we’ve been begging to know officially is when. There have been social media teases, slight leaks, and just general hearsay. But the time appears to be upon us. Spyro: Reignited Trilogy is poised to be announced today. The culprit for the initial early leak here is the Mexican branch of Amazon. The site officially posted the game as Spyro: Reignited Trilogy, noting a September 21st release earlier this morning. The URL has since been removed. Everything looked quite legit on the game’s page though. The official seller was listed as Activision. And the game promised 100+ levels stemming from the three original Insomniac Games developed series. You may note that the model for Spyro is much close to his original iterations on PlayStation. Later in the character’s life, he developed a look for the Skylanders series that was much more kid focused. 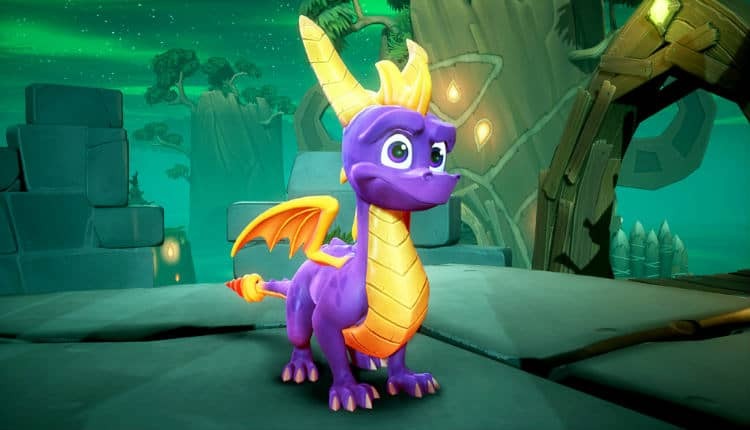 More mature fans have announced their pleasure on social media that Spyro has reverted to something more akin to his previous look. Rumors suggest that we’ll be getting the full reveal for the Spyro: Reignited Trilogy later today. 12:00 p.m. Eastern, 9:00 a.m. Pacific to be exact. We’ll have to wait until then to verify that all of today’s leaks are legit. The trilogy, just like Vicarious Visions’ Crash Bandicoot N. Sane Trilogy, will be a timed exclusive on PlayStation 4. It will then launch later down the line for PC, Xbox One and Switch. The N. Sane Trilogy will see just over a year of exclusivity on the PlayStation 4. It’s likely that the Spyro: Reignited Trilogy will as well.